Rebecca and Jerry are happy to share with you other instructors teaching their own unique way of working with cold wax medium. We list artists based in the US, Canada, and Mexico. Please contact them directly with questions or inquiries. Lisa B. Boardwine is an award-winning artist who exhibits her work nationally and internationally. Lisa teaches workshops in Oil/Cold Wax at various venues throughout the south eastern US. Her work has been published in several books on contemporary abstract painting. She also offers an art mentoring/creative guidance program for distance learning. Working intuitively, Lisa adds, subtracts, layers and drips paint to achieve the desired expression and textural statement in each painting. Lisa's workshops are painting explorations-using non-traditional tools for application, unique color mixing, mark-making and texture for creating exciting surface effects. Lisa directs participants from the basics and beyond, with an emphasis on the personal vision of each artist in abstract format. Discussions, demos and critique play an integral part in this workshop experience. Helen studied at the School of the Museum of Fine Arts in Boston. She works in oil, cold wax medium and incorporates a variety of materials in her work. She is represented by West Branch Gallery, Stowe, VT; Kobalt Gallery, Provincetown, MA; Edgewater Gallery, Middlebury, VT; Allyn Gallup Contemporary, Sarasota, FL. Cindy Walton, an award- winning artist living in Asheville, NC. Her studio/gallery is in the historic River Arts District in Asheville, NC and she exhibits in South Carolina, Florida, and Ohio. She also teaches in Asheville, Atlanta, GA and at Ghost Ranch in Abiquiu, NM. Gina Louthian-Stanley is a professional award-winning artist who exhibits her work internationally and nationally, and is represented by several galleries on the east coast. 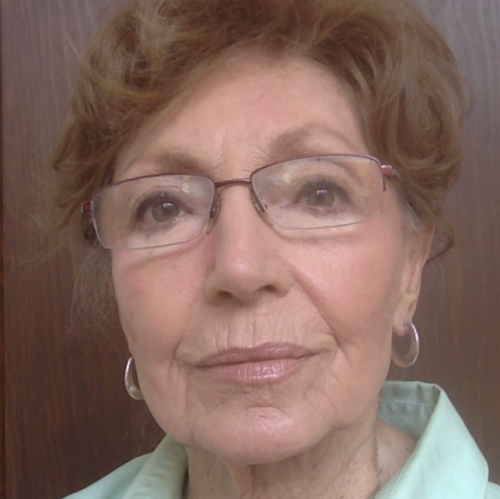 She has been published in several publications, received many artistic honors, and has works in private and corporate collections. She appears in the book by Rebecca Crowell and Jerry McLaughlin, “Cold Wax Medium: Techniques, Concepts, Conversations”. Gina works intuitively to create the visual language for a desired significance of expression in each work. Gina teaches a wide range of classes, has a unique teaching style, working with the group, yet providing creative guidance helping each student to find their own personal voice. She teaches workshops in Cold Wax/Mixed Media/Encaustic at various venues throughout the southeastern US. Serena loves to provide an atmosphere where you can discover or rekindle your creative abilities. She provides lots of individual attention and feedback. Her goal is to help you learn, experiment, and enjoy the mysteries of intuitive abstraction. Serena has been painting for 23 years, and teaching art for ten years. She has taught classes on creativity and artists at Portland State University. Serena lives in Portland, OR where she paints, teaches workshops, and coaches. She teaches around the United States and in Italy and France. She is the author of Wabi-Sabi Painting with Cold Wax and Wabi-Sabi Art Workshop, published by North Light. What I bring to teaching, is my 30 art-making years of experience with conceptually-driven abstraction long with my love of materials. My workshops and mentorship program concentrate on content, creativity, art making and technique, with an emphasis on helping students to discover their unique marks and concepts. In workshops, I schedule fast-paced demos and exercises along with plenty of painting time, personal attention and group discussions. In class and in my mentorship program I focus on individual’s needs, visual editing and critique along with professional development. I provide personal, one-on-one teaching time for my students so we can discuss their specific questions and needs. Each class is a different experience! Mark creates nature- and landscape-inspired paintings in oil, cold wax and other mediums. As a teacher, he’s dedicated to helping artists explore new ways to paint and see their work with a fresh perspective. Mark’s workshops, private instruction and mentorships blend his enthusiasm for the creative process with an informal, friendly learning environment. He teaches the way that he likes to experience a workshop: personal attention, a comfortable environment for learning and experimentation, plus ample time for individual and group critique. Through demonstration, guided exercises and experimentation with tools and techniques, artists explore the importance of composition, planning and editing in the painter’s practice. Mark is included in the Cold Wax Medium: Techniques, Concepts & Conversations book. Pamela Caughey grew up in Wisconsin, where she received her Bachelor of Science degree in Biochemistry from UW-Madison in 1983. After moving with her family to Hamilton, MT in 1986, she began her serious study of art, and in 2010 received her MFA in Painting and Drawing from the University of Montana. Her work is in the permanent collection of several museums and public buildings nationally and internationally and also appears in the newly published book by Rebecca Crowell and Jerry McLaughlin, “Cold Wax Medium: Techniques, Concepts, Conversations”. After teaching foundations courses at the University of Montana, Bitterroot College, Montana, she is now a full-time studio artist and teaches workshops from her Hamilton, Montana studio and around the world. Jeff Erickson is an abstract painter, primarily using cold wax and oils in his work. He is represented by a number of galleries up and down the East Coast. He has been teaching his techniques using cold wax and oils for over 5 years. He enjoys sharing his knowledge of the medium, and makes learning simple and fun. He really enjoys getting to know his students on a personal level, and takes great pride in the success they have achieved with their new-found knowledge. He primarily teaches out of his studio in Alexandria, Virginia, but also travels to different places if you are looking to organize a workshop in your area. Janice brings 35 years of painting experience to her teaching, and a passion to help each student find their own way. 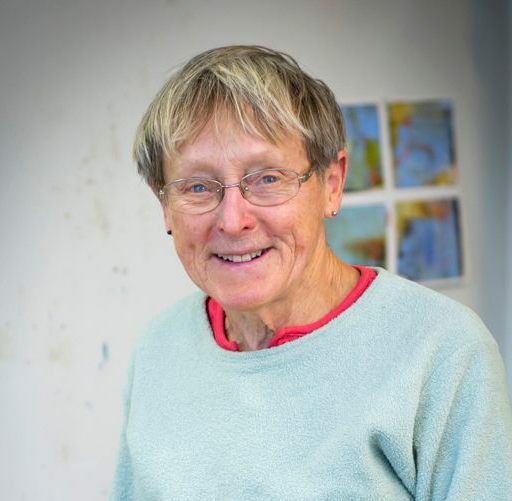 She offers abstract painting workshops in cold wax and water-media internationally, in addition to one-on-one coaching through her Art Mentoring program. Her teaching focuses not only on technique, but on composition, design, color, mindset, and self-expression. She offers a unique method which encourages students to develop their own artistic voices, in addition to a personal way of thinking about art, painting, and life. 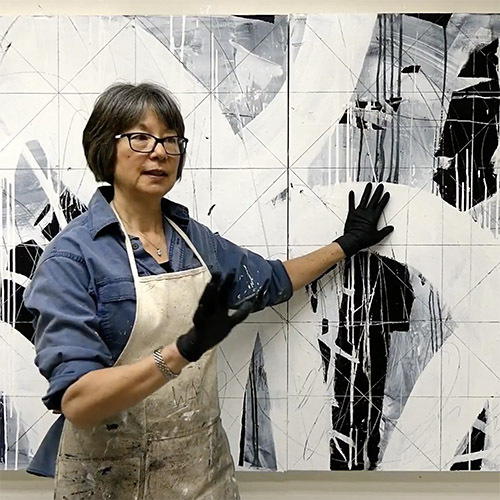 Janice's current focus is teaching workshops in wild places–– staying in yurts in Mongolia, and storm-watching in BC––where she teaches techniques to experience the land and translate that into the creation of abstract paintings. After 60 years of working as a professional artist, I love sharing everything I know. On the second day, in one of my workshops, after the students had experimented with several techniques. Gary, a photographer, exclaimed, "This is like being at Grandma's!" You have everything we want just for the asking. I loved his comment and told him I would share it. We joked about being with Grandma (me) and another person said, "No you are more like a mother, very caring, thoughtful and directly to the point. I have spent a lot of money since I have been in San Miguel, but this class was the most worthwhile. Never stop teaching. You have too much to share."